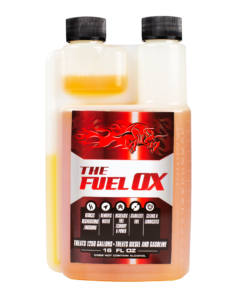 Fuel Ox Asphaltene is a multifunctional and comprehensive fuel treatment that enhances fuel combustion and engine performance. It removes and prevents the formations of asphaltenes found in of today’s heavy duty engines that employ a high pressure fuel injector system. Also designed to replace the lubricity agents stripped from today’s low sulfur diesel fuels. Fuel Ox Asphaltene is tested safe and effective in all petroleum fuels. For larger orders please contact us.